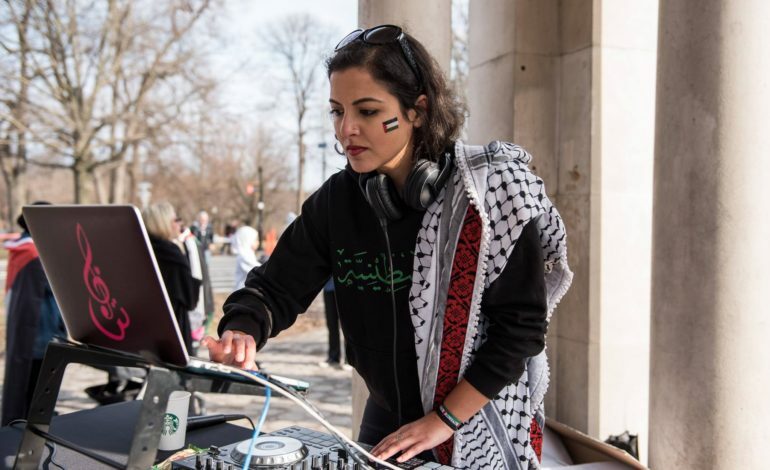 DJ Fatin plays at UNWRA’s Gaza 5k and dabke party at Prospect Park in Brooklyn, New York, March 30. Photo by Scott Heins. 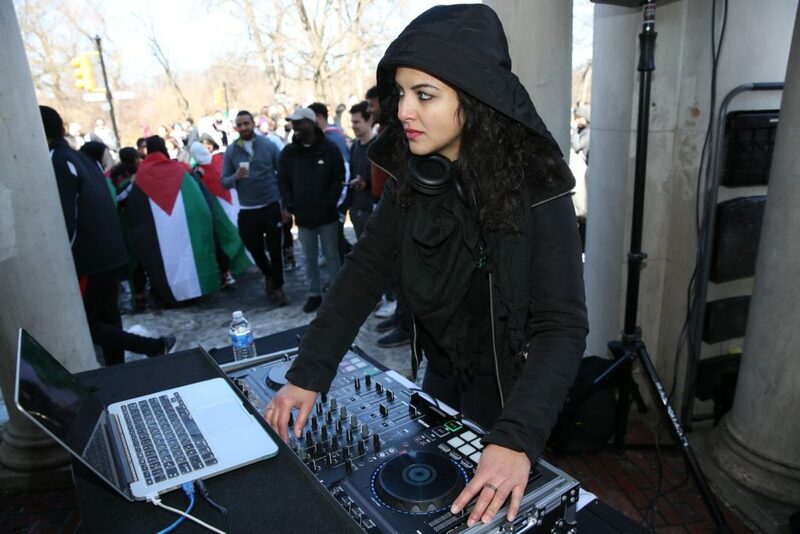 BROOKLYN, NY — Fatin Jarara, or DJ Fatin, is a Palestinian immigrant and a unique voice in the New York City DJ scene. Jarara recently DJ-ed on March 30 for the United Nations Relief and Works Agency’s Gaza 5k and dabke party at Prospect Park in Brooklyn. She said she normally focuses on private events such as weddings, engagements and bridal showers in and beyond the Arab community there. She said she’s been working as a DJ in the community for a little over 10 years. 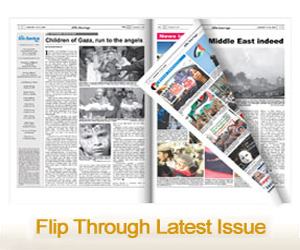 Jarara said her interest in music and media came when she was a part of a group called “Arab Women Active in the Arts and Media”, which teaches young women and girls community-organizing and media skills. She said her sister had originally taken up DJ-ing and found she didn’t enjoy it as much as she’d hoped. Jarara said she took on an event for a friend that her sister didn’t want to play. She said she thinks the reason she’s worked so long in the industry is because she’s a woman. DJ Fatin plays at Prospect Park in Brooklyn, New York. Photo by Anwar Alomaisi. She said there’s probably only around 10 woman DJs in the New York area. According to New York City’s annual report, the city has 3.1 million immigrants overall, which is more than a third of the city’s population. Jarara said she was almost 10-years-old when she first immigrated to New York City. She added that New York offers a lot of community. “You just find so many people that are from all kinds of cultures,” she said. Jarara said she DJs for many different cultures, including the South Asian, Afghan and Turkish communities. She said the mixture of communities “jazzes it up” and that knowing about the music in the cultures she plays for is helpful.